The CCH – Congress Centre Hamburg– has been undergoing comprehensive modernisation and remodelling since January 2017. 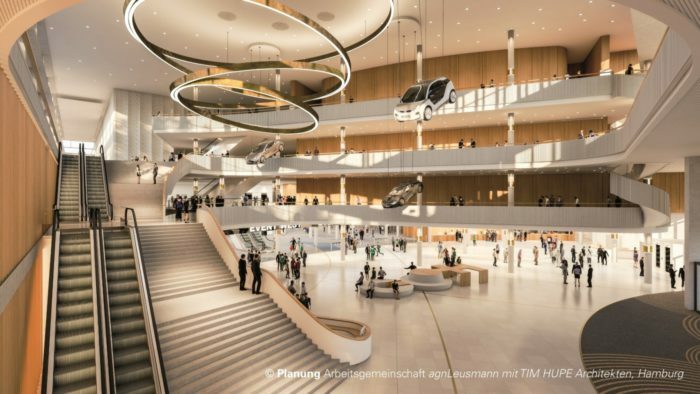 From 2020 onward, the Centre will be able to offer association delegates a total available exhibition space of 12.000 square meters, another 12.000 square meters of foyer space, and 12.000 seats in up to 50 halls and rooms. In this way, conference participants can freely roam the rooms and entire buildings, walk down hallways, view their environment at any angle, and even interact with objects. Associations will also have at their disposal an iPad app and an individual space layout configurator to the Showroom centred around the virtual CCH hologram.